Whether you have attended a Chinese New Year festival or not, playing the Dragon Dance slot will make you relive that experience over and over again. This slot was released in 2016 by Microgaming. The game brings out the splendour and celebration that these festivities bring and the best part is you get to win while at it! Imagine yourself attending a giant street party complete with fireworks, good luck totems, drummers, dramatic artist in elaborate costumes and a dancing dragon! The game symbols and features will put you in a celebratory mood and they award wins when they appear. The Dragon for instance is associated with bring good fortune and luck and the fact that it appears on the reels as you play you can be sure that wins will be just a spin away. Here’s a quick fact box about Dragon Dance game. 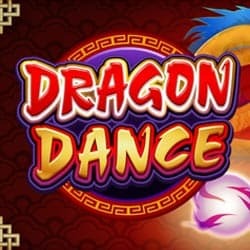 The Dragon Dance slot features will leave you dancing all the way to the bank. We look at each of them in detail. Despite the fact that Dragon Dance is a 5×3 slot, it offers 243 way to win. You can pick the lines you’d like to bet and your wins will depend on winning combination of the symbols from left to right – thus increasing your chance of winning with every spin. You can get fire-cracking wins during the Free Spins feature. When three or more Chinese crackers land anywhere on the reels, you’ll get 15 Free Spins with a 3x multiplier – giving you a maximum of up to 30 Free Spins. You can also retrigger this feature once again and bring home some good fortune. Microgaming likes to push boundaries when it comes to online slots. The Respin feature was recently introduce and you can test it out whilst playing the Dragon Dance slot. It gives you more control of the reels, giving you more chances to win. There’s a respin button under each reel and once you spin the reels and are not happy with the result, you can choose to respin the reel of your choice. The other reels will remain locked whilst the reel is being respun until a winning combination is achieved or until the bonus feature is achieved. Although there’s a cost attached to this feature, the amount you stand to win, and the fact that you have more control of the reels, makes this feature worth a try. This feature is not available on Auto Play mode. Dragon Dance graphics capture the essence of the Chinese New Year Festival. It’s full of shades of red which is meant to ward off bad fortune, touches of gold, bright blue, purple and green. The purple background during the free spins is not by chance. It’s supposed to emphasize an atmosphere of luck and strength as you play. The game sound is unmistakably Asian influenced whereby the wooden flutes and plucked strings have been incorporated therein. During the base game, the sound is upbeat, to keep up with the overall game theme. The tempo increases during the Free Spins feature in anticipation of the 3x multiplier or retrigger the spins. If you’re not sure which game to try out at Wintingo, then we suggest you give Dragon Dance a try. Claim 100% match, up to $/€100 free and and play 50 Free Spins on Starburst™. After that, get $/€400 bonus over your next 4 deposits and use the extra bonus to try Dragon Dance.